A lifetime of dance training inspires the movement in my designs. Comfort, durability and eco-concerns dictate my choice of materials. 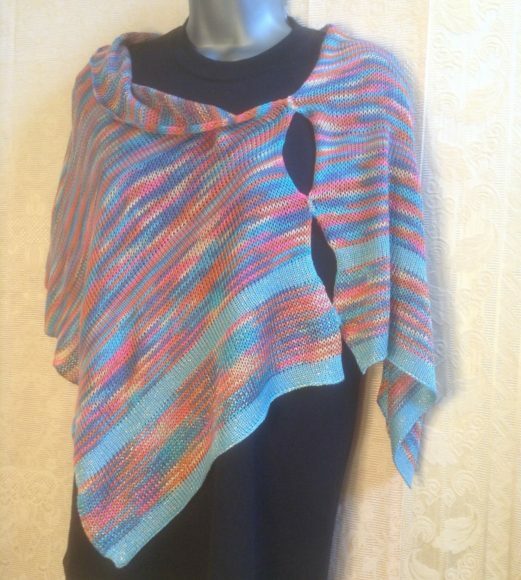 The knit ponchos that will be featured this month showcase my latest fiber of choice: bamboo. They also illustrate how versatile a simple rectangle can become when sewn in the right places and draped in various ways. Please visit me in Studio #7. 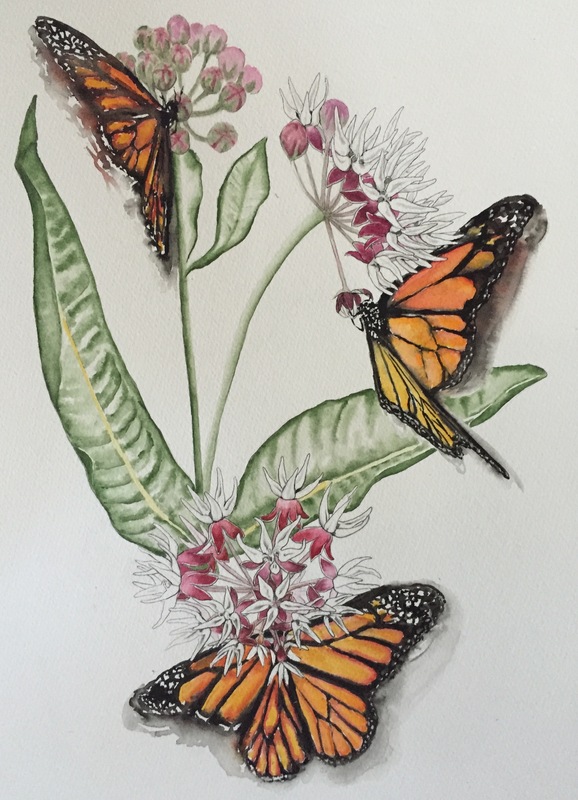 Paula’ primary medium is watercolor with pen and ink. She has illustrated numerous scientific publications, plant and wildlife posters, trail guides, and interpretative trail signs. She lives in the rural forests of Southern Oregon with her husband and two daughters. Everything I create is about a resonation that touches the senses and the soul. My sculptures are a combination of the earth elements mingling with stones and moss that I am pulled in by right now. A personal theme of opening and surrender seems to be influencing my sacred Beings. The clay in contrast with gold leaf mirrors how I dress. Down to earth with a little sparkle. I really do not think about anything while I am doing my art. What a gift! 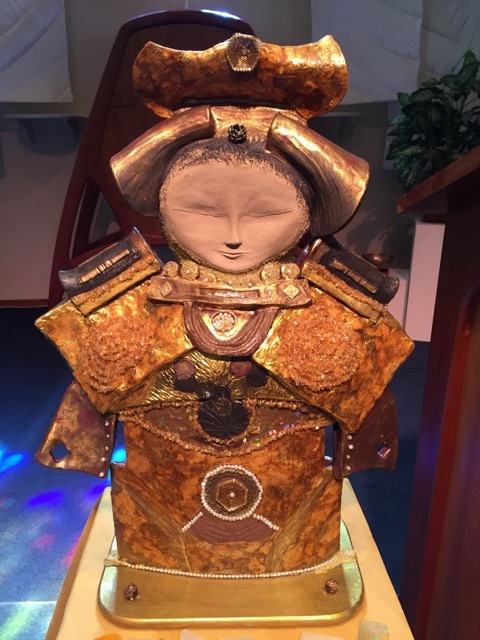 My true desire with my sculptures is to offer something that can remind one to take a moment, open and surrender. My earrings are all made with a kinesthetic, artistic impulse that satisfies my own design style. 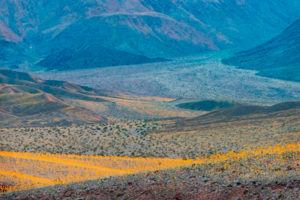 Bobbi Murphy is showing “Death Valley in Bloom” beginning Friday, August 5th, 2016 at The Photographers’ Gallery at the Ashland Art Center for First Friday Art Walk. 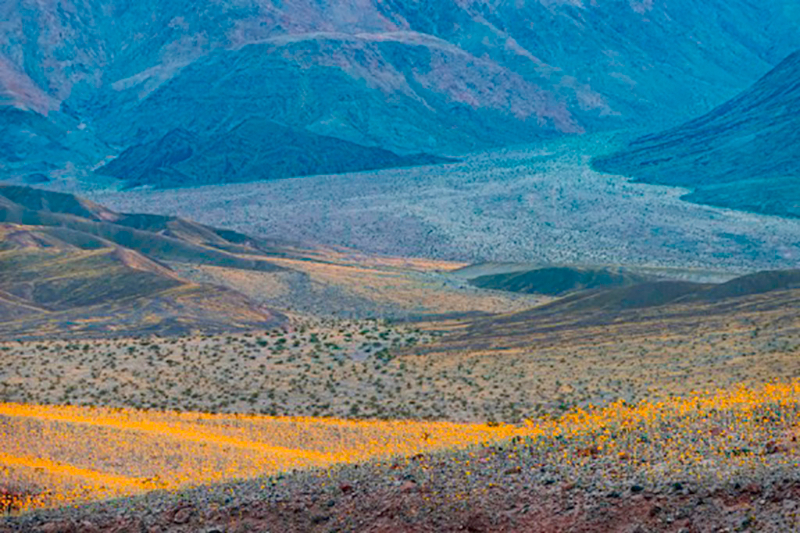 Death Valley is the driest, hottest and lowest place in North America and is home to a grand, majestic landscape unlike any other. Taken during this year’s incredible ’super bloom’, Bobbi’s images show the stark contrast between a barren landscape and one transformed by winter rains. Ms. Murphy is a graduate of Rocky Mountain School of Photography and shows her work year round at The Photgraphers’ Gallery at the Ashland Art Center. Her website is bobbimurphyphotography.com. 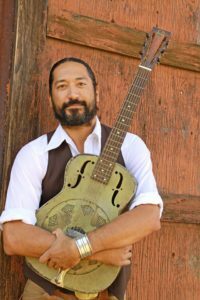 Phoenix Sigalove is a provocative singer/songwriter whose soulful, rootsy vocals and rhythm-based acoustic guitar grooves will remind you of Richie Havens and Ben Harper with an Indigenous twist that is unique and powerful. His lyrics demand accountability and respect for Mother Earth and his story-telling will conjure up images of wild, wind-swept places, and horseback adventures through the American West.